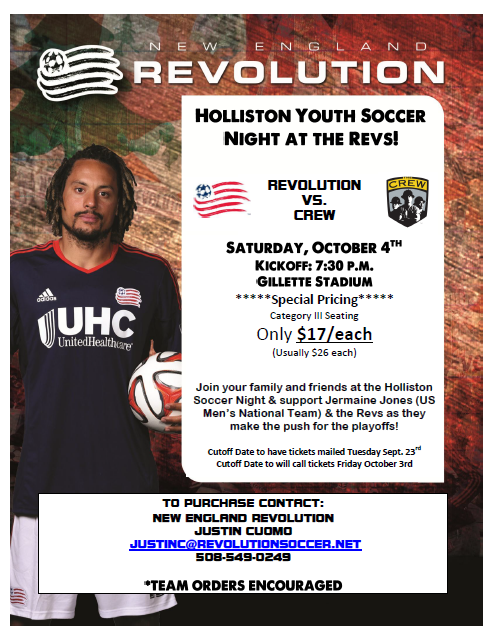 Join HYSA for a night at the New England Revolution. We have 40 tickets available via Chris Guccione ( moc.n1556073877sm@en1556073877oiccu1556073877gc1556073877). Don’t worry. If we sell out additional tickets are available from Justin as noted on the flyer below.